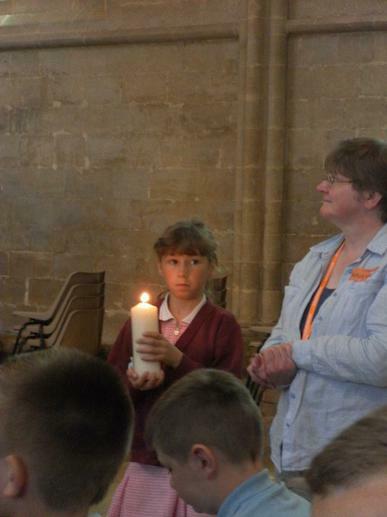 On Friday 14th July, year 6 went to visit St Barnabas church with Robin Class. 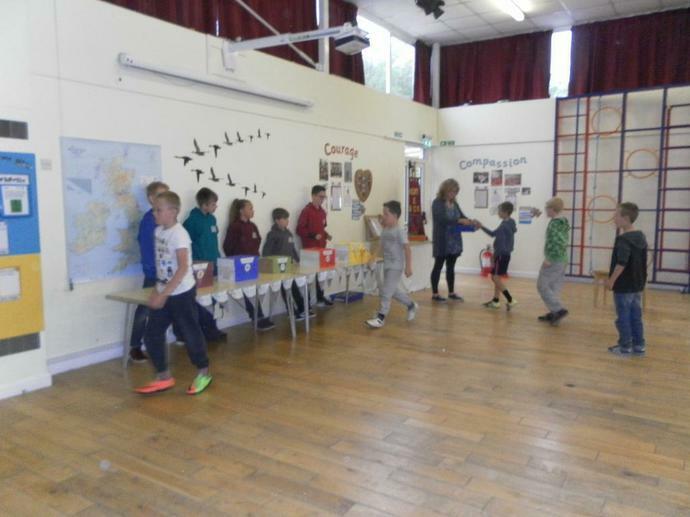 We all walked to the church together; when we arrived, Rev. 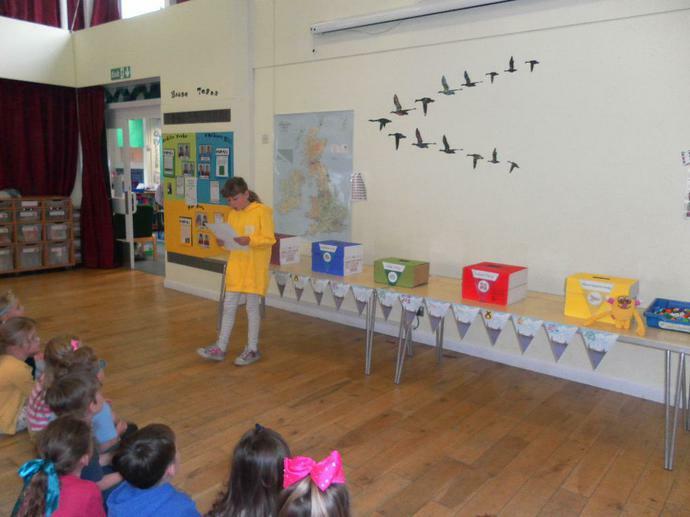 Jo greeted us and spoke to us about special books. 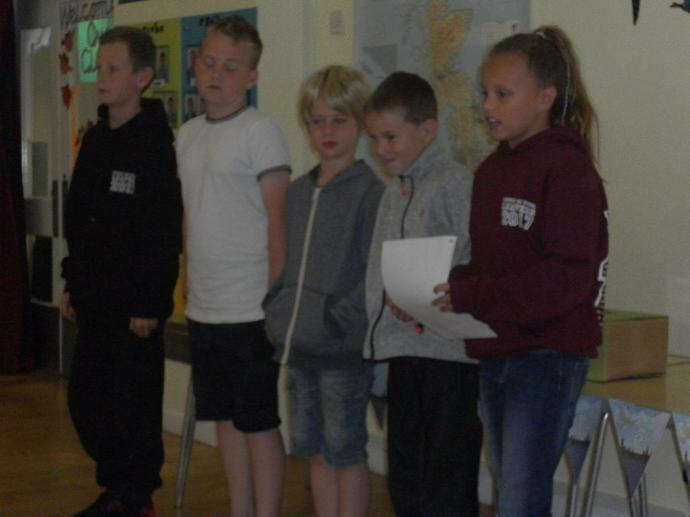 She then told us the story of Jonah and the Whale and some of us got to act it out! 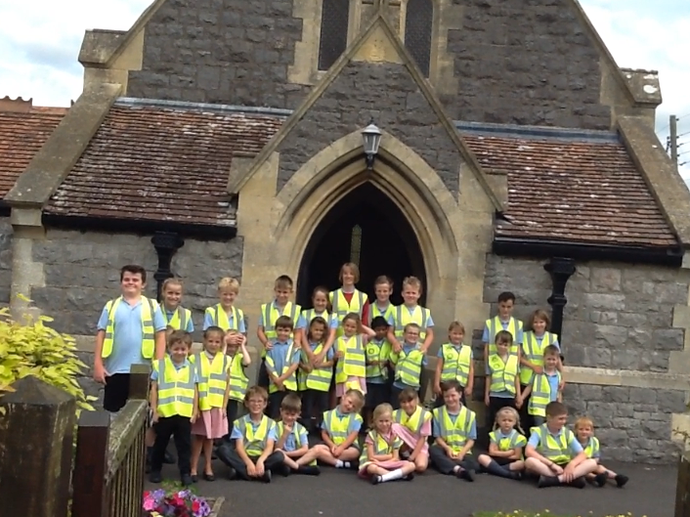 We really enjoyed showing our Reception buddies around the church. 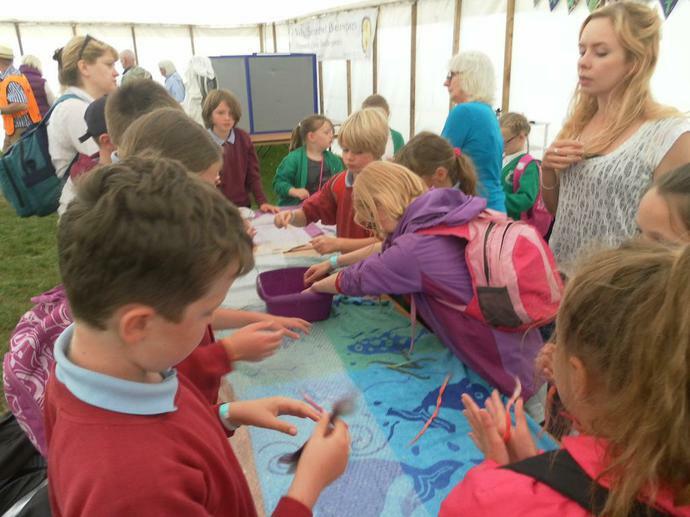 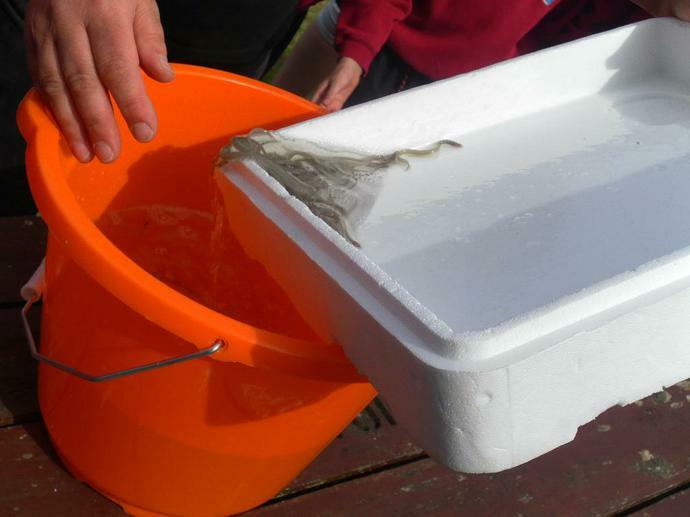 On Thursday 13th July we went with Kingfisher class to Blagdon Lake to release the elvers that we have been raising. 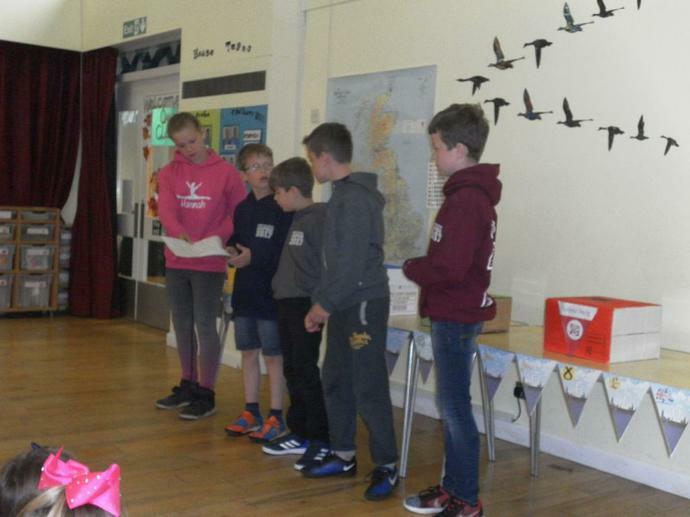 We each got to release an elver each, then we did some bird watching. 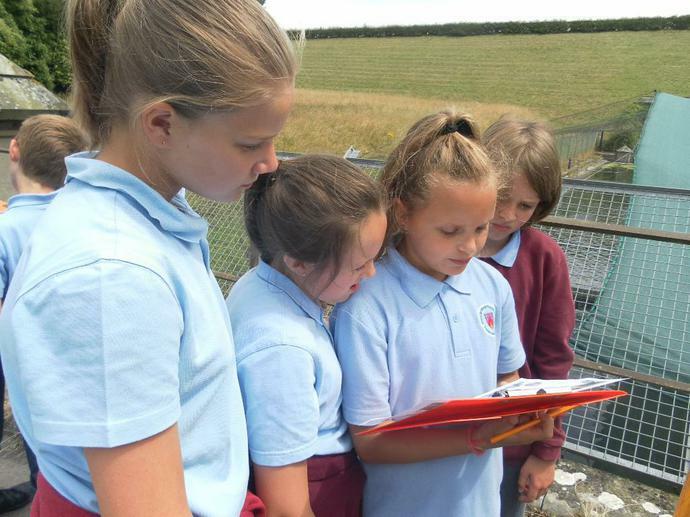 After lunch, we made some elver collages using natural materials and then went on a long walk to further explore where the water goes. 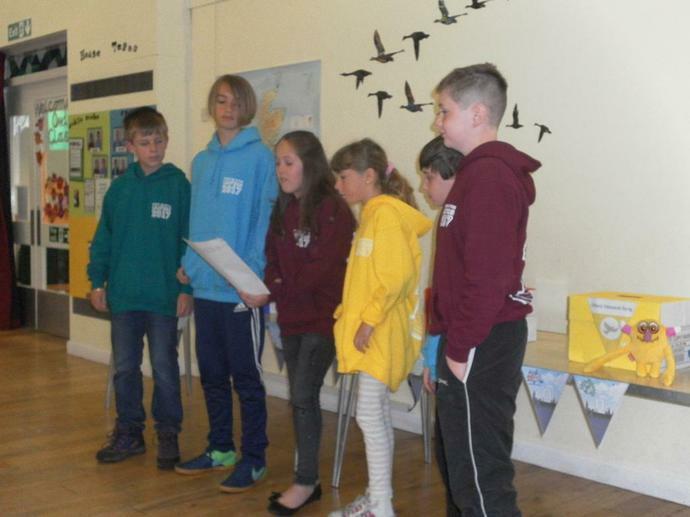 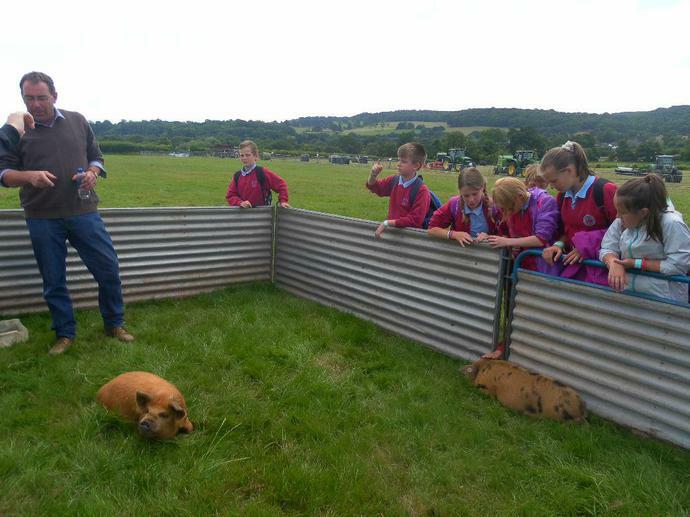 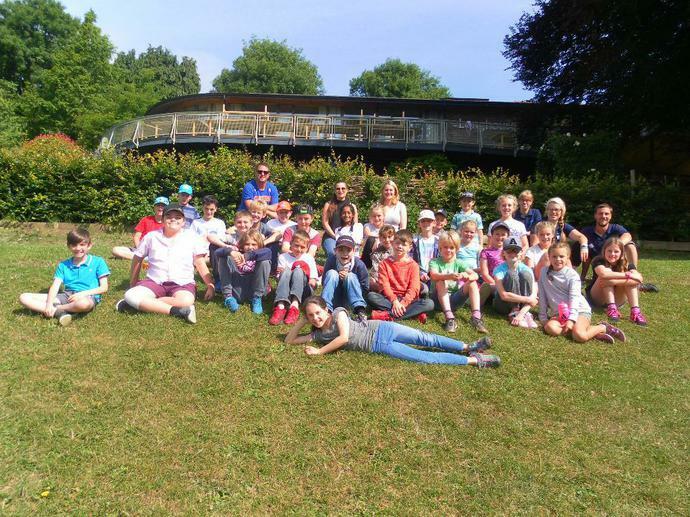 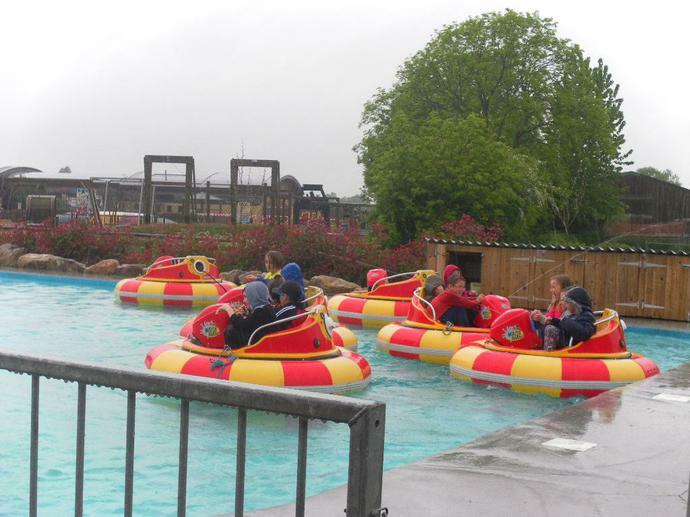 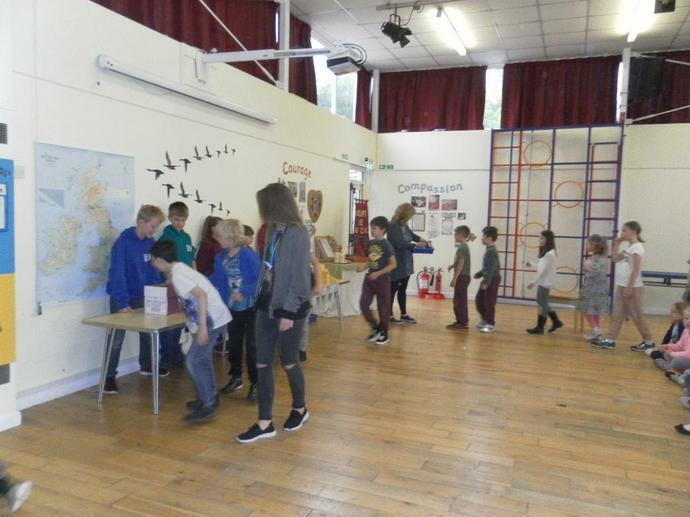 From the 5-7 July, years 5 and 6 went on a residential trip to Mill on the Brue in Bruton, Somerset. 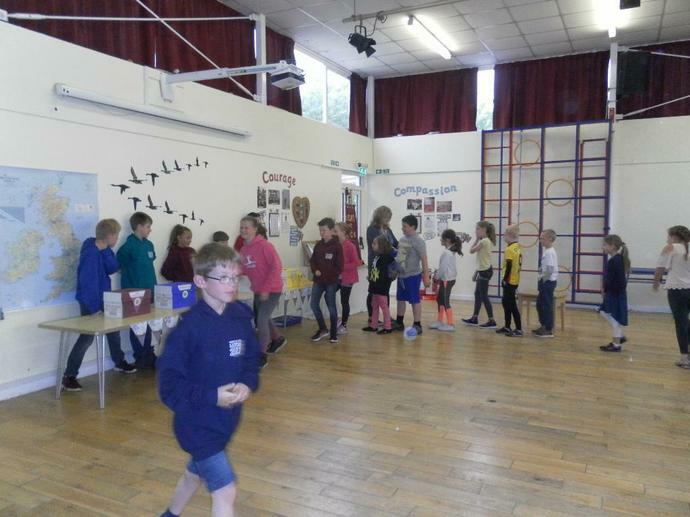 We had the best time and got to experience activities such as: raft building, crate stacking, going down a super zip wire and much more! 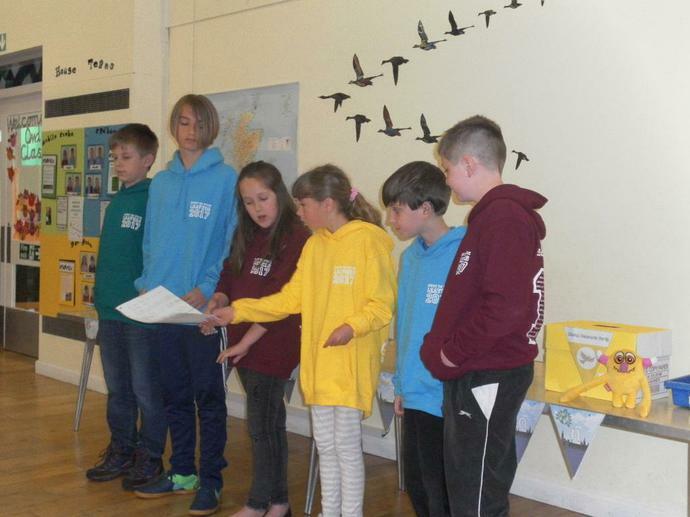 For more photos, please look in the 'About Us' section and click on gallery. 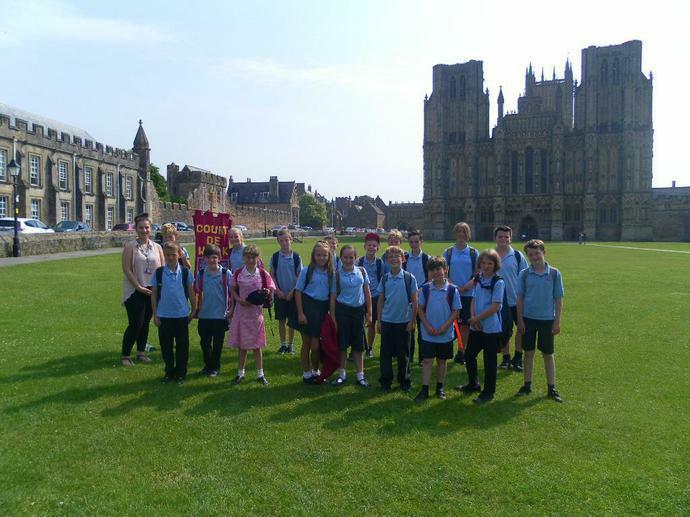 On Tuesday 20th June, Miss Carter, Mrs Baber, Mrs Cush, Mr Mortimer and the Year 6s spent the day at Wells Cathedral with lots of other year 6 children. 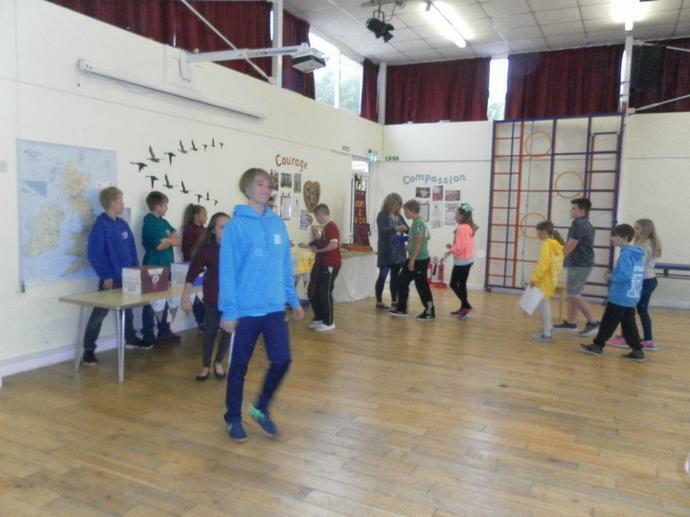 We got to take part in two different workshops: drama and then either flag worship or music. 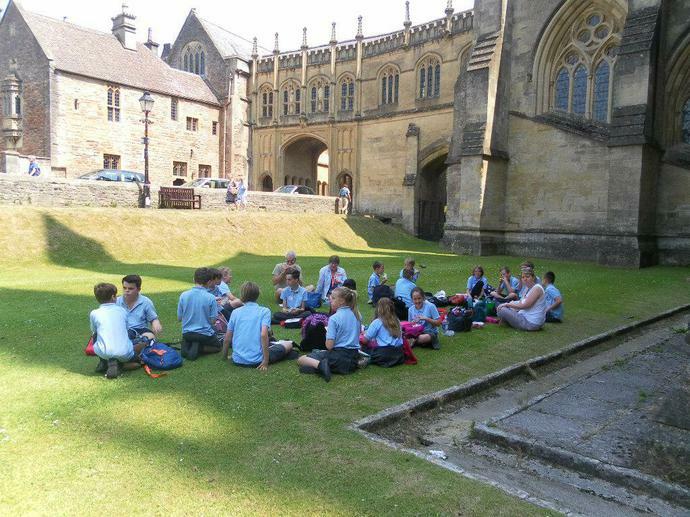 After the workshops, we had a nice picnic lunch followed by a service in the cathedral, led by a man who used to go to Court-de-Wyck as a child! 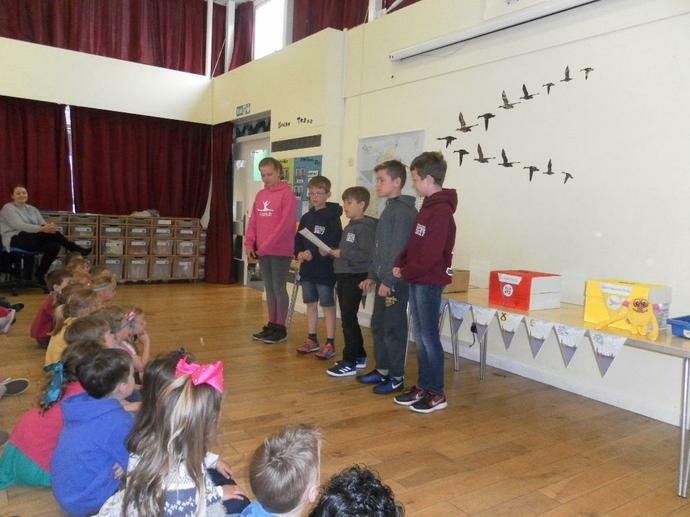 We had a lovely day and it was a brilliant way to start our year 6 leavers' celebrations! 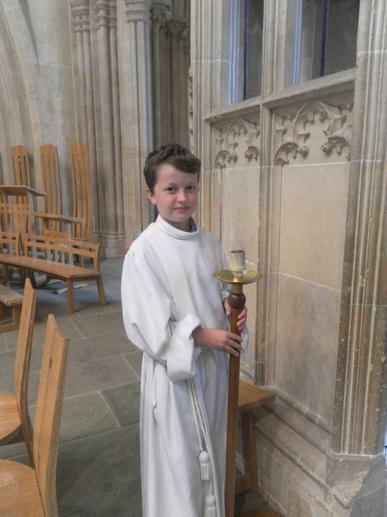 Robbie was one of two children out of all the schools there who volunteered to walk down the aisle at the beginning of the service with a candle! 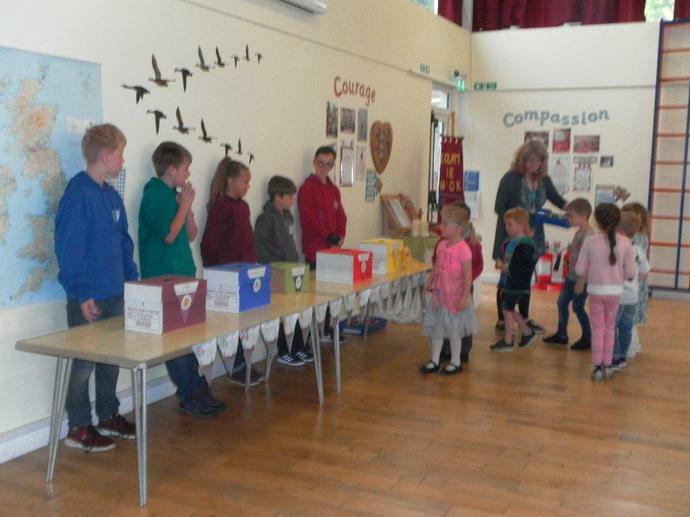 Each school was asked to choose one child to go and collect a candle during the final hymn to take back to their school as a keep-sake. 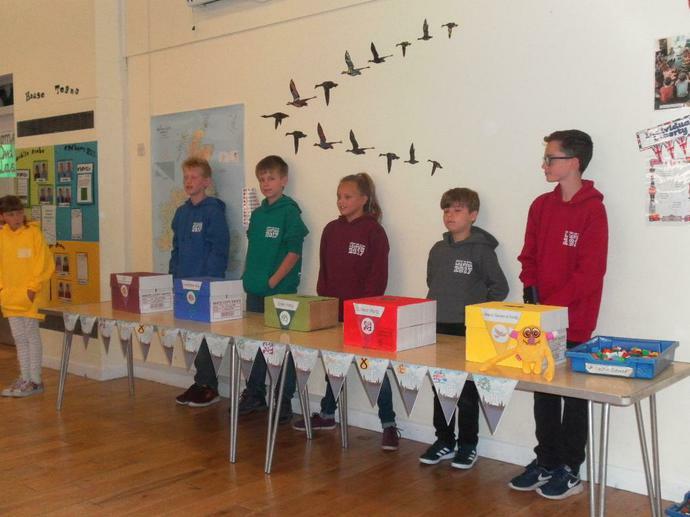 As it was Eila's birthday, we all agreed she'd be perfect for the job! 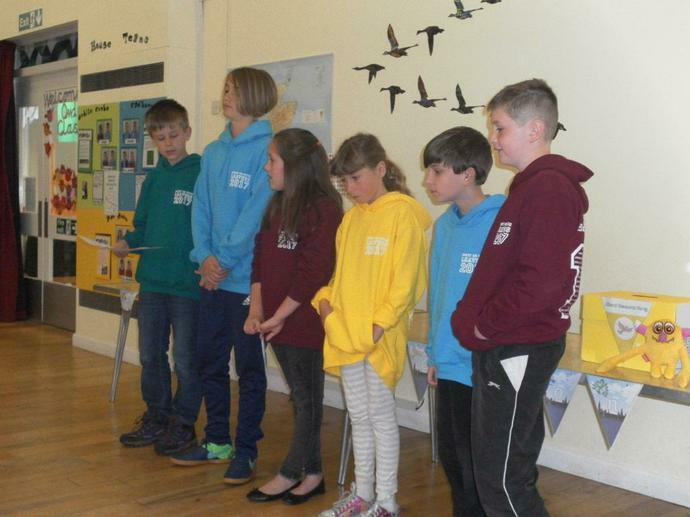 This week, we welcomed the Elvers to Court-de-Wyck - all the way from Bermuda in the Sargasso Sea! 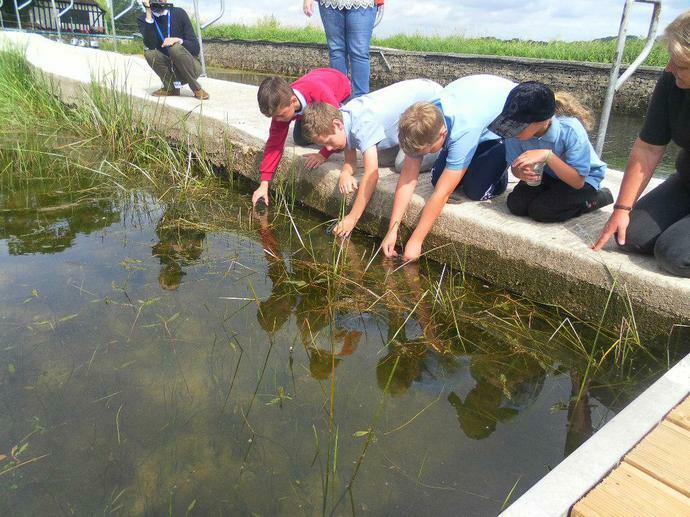 Together with Kingfisher class, we are each taking a turn at looking after the elvers by feeding them and keeping their water fresh. 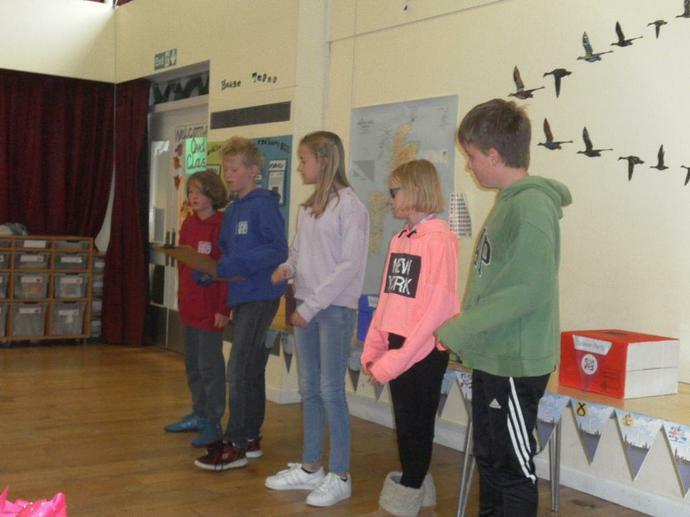 This is a project we are doing with Avon Wildlife Trust and Kier Construction and they came in for a whole morning to help us learn more about the life cycle of eels. 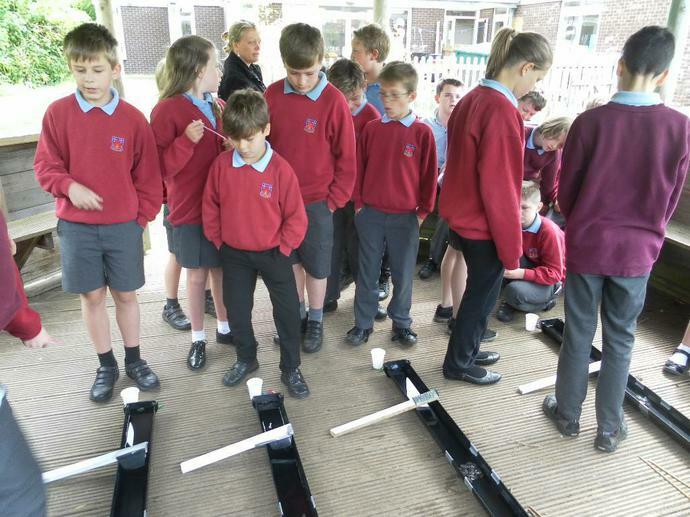 We learnt about how they travel and played a game to see the difficulties eels face. 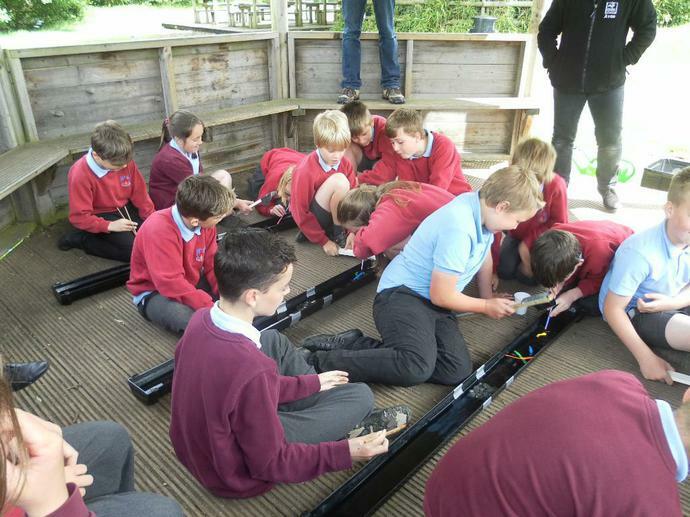 Later in the term we will be going to Blagdon Lake to release the elvers. 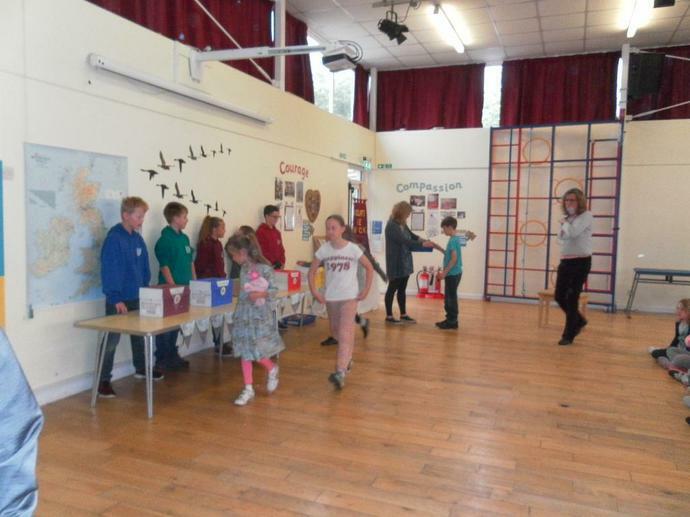 This week, Kestrel Class have been learning about the up-coming General Election. 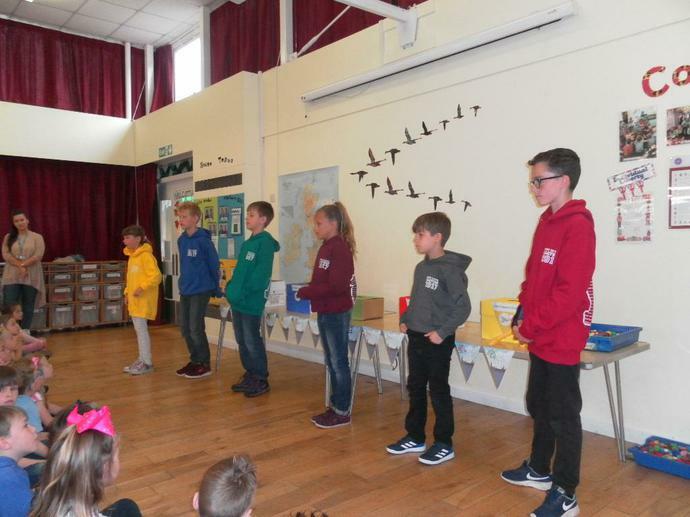 The class split into 5 groups and were given a party to represent. 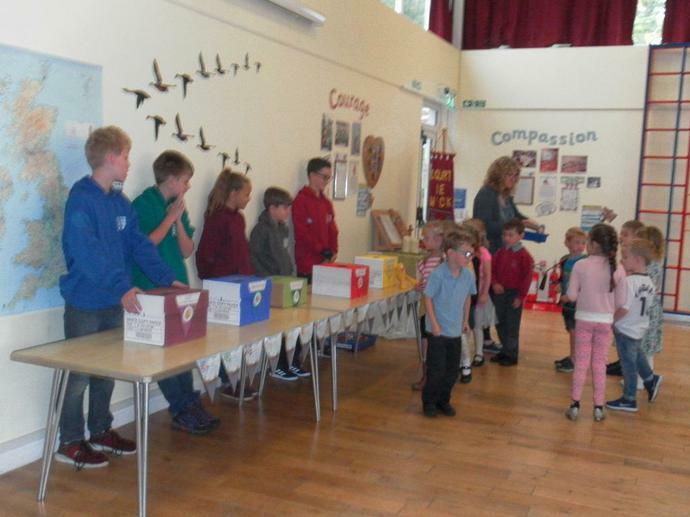 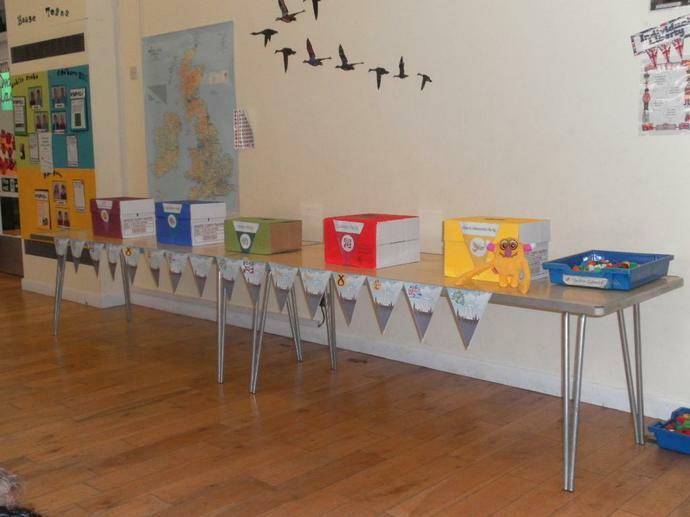 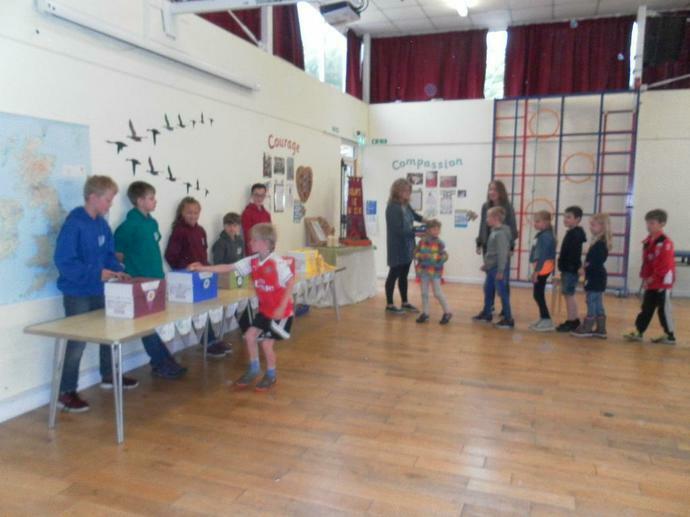 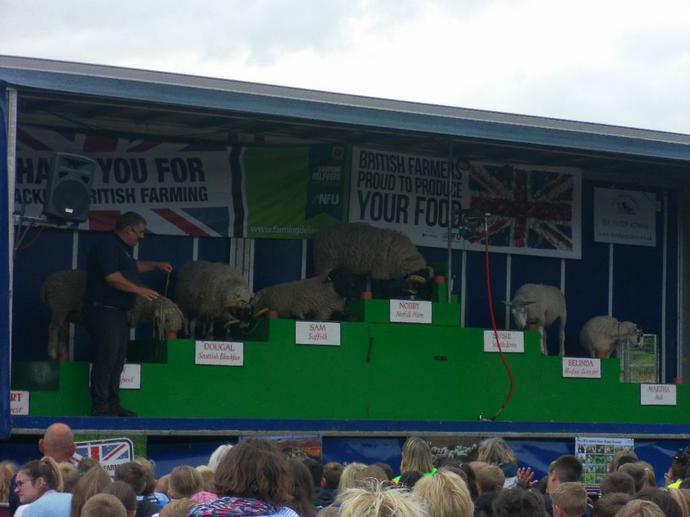 We had our very own Conservative, Labour, Liberal Democrat, Green and UKIP parties! 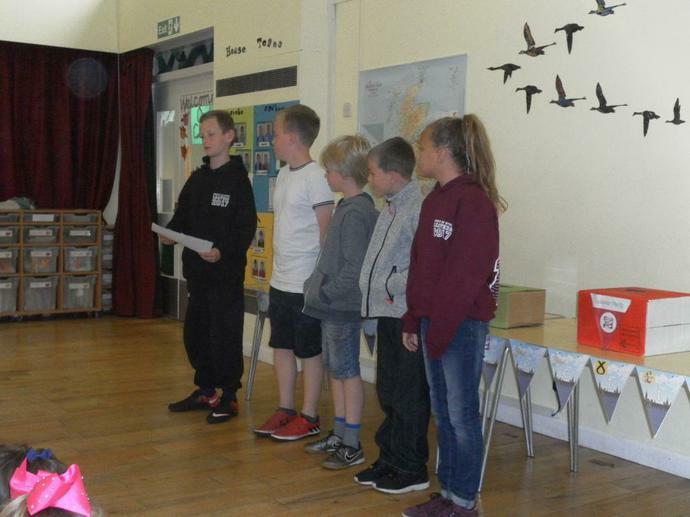 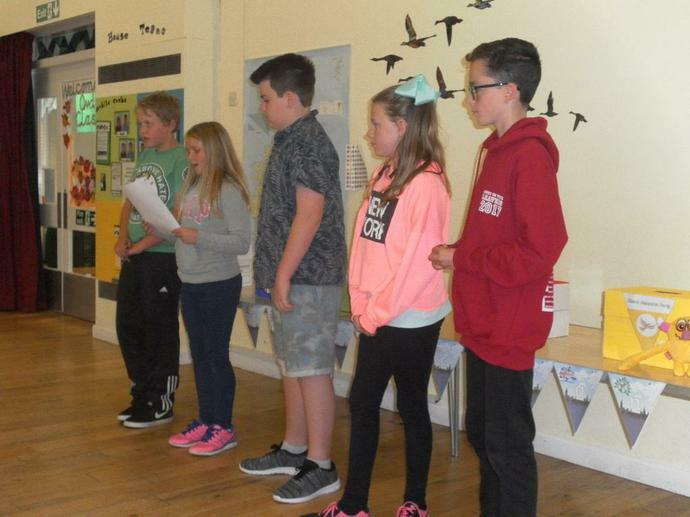 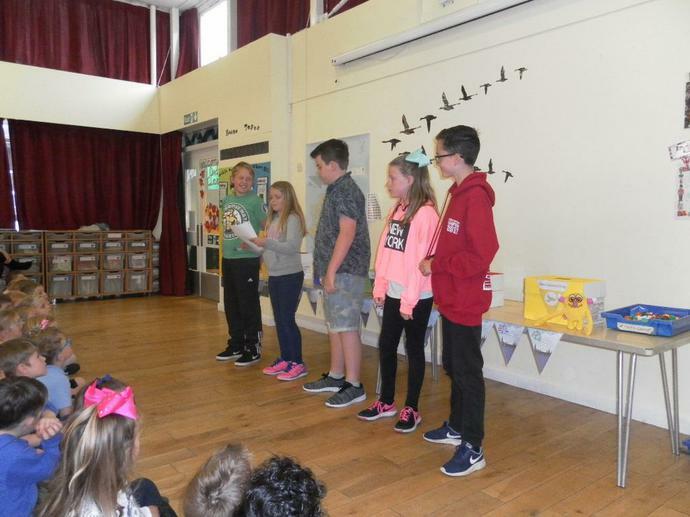 They then presented their party's manifesto to the rest of the school before each child voted for the party they thought had the best policies. 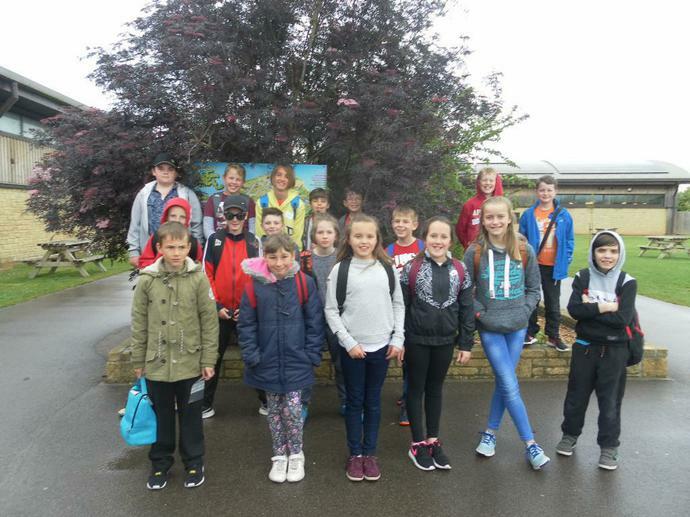 After working extremely hard for their SATs, on Tuesday 16th May the year 6s went on a very well deserved trip to Puxton Park for the day. 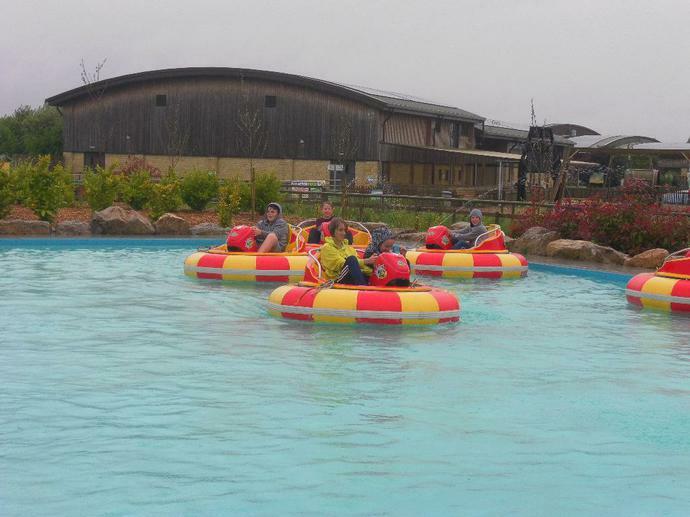 We had a fantastic time playing, looking at the animals and squirting each other in water boats! 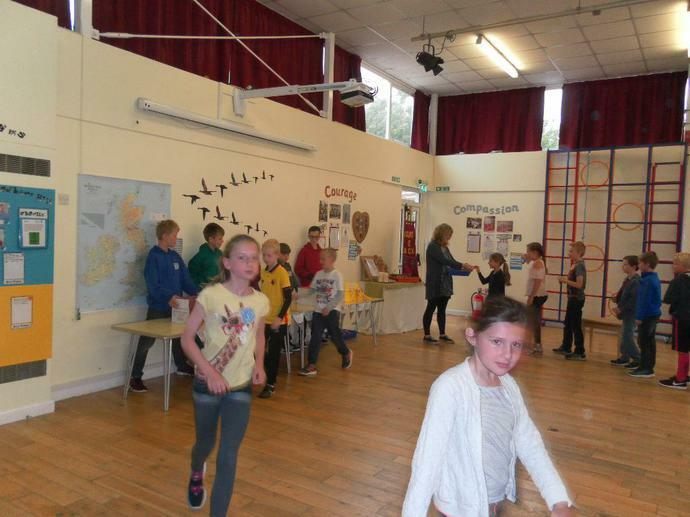 It was a lovely day to celebrate the end of a busy period for the year 6s - a thoroughly well earned treat! 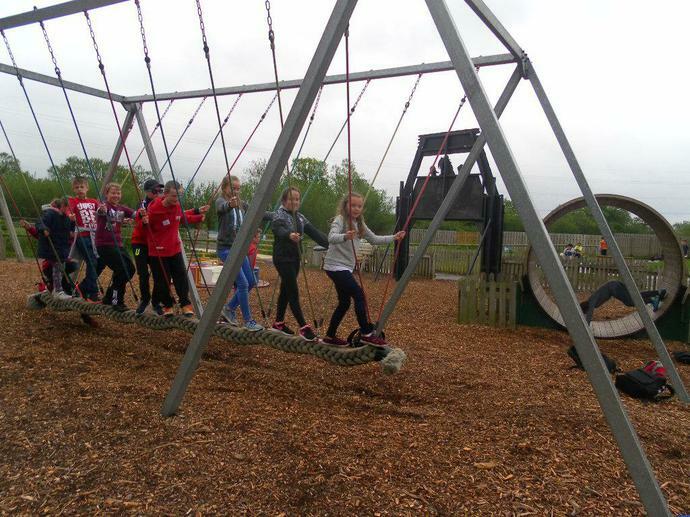 A massive thank you to the PTA for our fun day out, we had the best time!